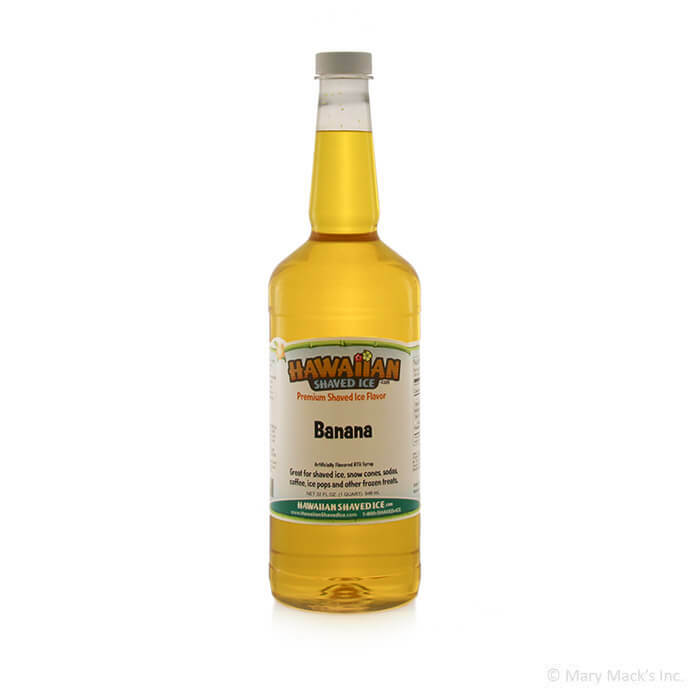 If you enjoy the refreshing taste of a banana Popsicle, then you�ll love Hawaiian Shaved Ice�s banana snow cone syrup. This delicious flavor is one of the top ten shaved ice syrups offered by Hawaiian Shaved Ice, ensuring that it will soon become a hit with your friends and family. Our banana shaved ice syrup has a rich and refreshing taste that is loved by children and adults alike. If you have a snow cone-maker at home, make sure that you stock up on Hawaiian Shaved Ice�s banana snow cone syrup. To save money, try putting together a variety pack with your own custom flavors. Hawaiian Shaved Ice offers packs of two, three, five or ten shaved ice syrups. Include banana shaved ice syrup in your multi-pack and get ready to delight your guests with a delicious treat. 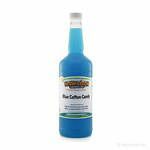 Hawaiian Shaved Ice offers affordable shaved ice ingredients and accessories, including our popular banana snow cone syrup in both quart and gallon size. Check out our huge selection of tasty snow cone syrups today.